3-time world champion Luiz Claudio and 2-time world champion Thiago Veiga! Where is the seminar going to be held? Sunday, 11/12/2017 at 1:30PM. Plan on arriving 15 minutes early to check in and sign your waivers. Who are Luiz Claudio & Thiago Veiga? 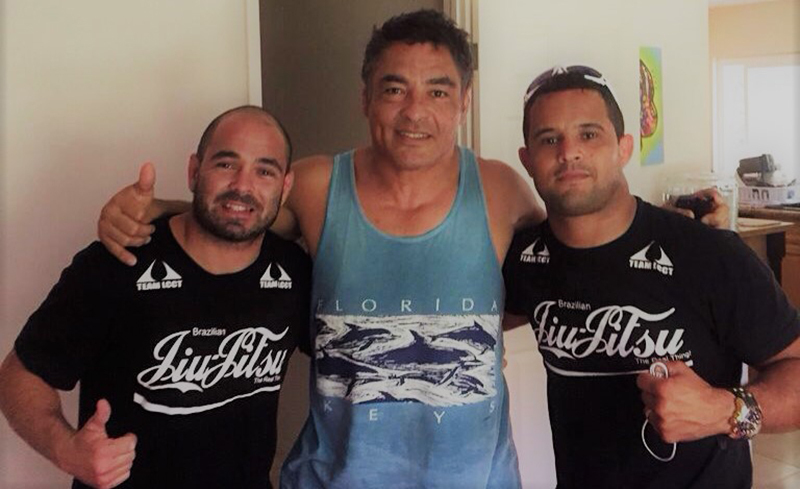 Luiz and Thiago started training in Brazilian Jiu-Jitsu under Rickson Gracie over 20 years ago. After falling in love with BJJ and competing at the highest levels, they decided to open their own academy to spread Rickson Gracie’s philosophies across the USA. Luiz Claudio Combat Team (LCCT BJJ) was born. Luiz, a fourth degree black belt, and Thiago, a third degree black belt, still train under Rickson to this day. Luiz is the mastermind behind the “Gogo Choke” that UFC fighter Ben Rothwell used to submit Matt Mitrione and Josh Barnett in the UFC. LCCT also trains UFC fighters Juliana Pena and Yair Rodriguez, just to name a few. Luiz and Thiago’s understanding of Invisible BJJ details have helped me to take my BJJ game to the next level, and I know they’ll transform your game as well. But don’t wait too long, the professors have asked that we limit the class size and we expect tickets to sell out like the last bjj seminar. Plus, tickets are an extra $10 at the door! 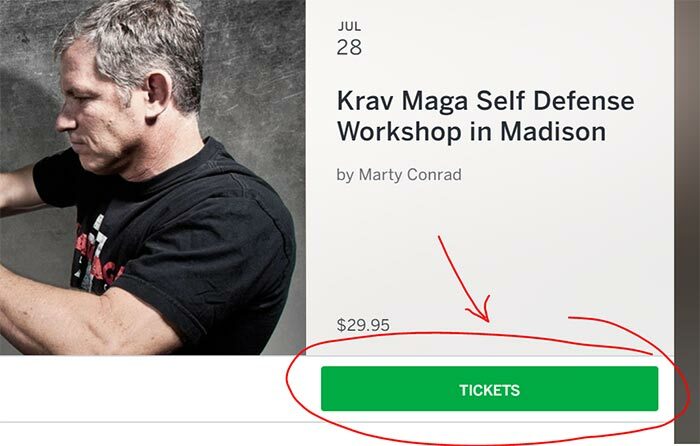 Click here for the lowest price on the BJJ seminar in Madison WI. There’s a startling statistic out there from the CDC: In a nationwide survey 1 in 5 kids reported being bullied sometime during the 2015 school year. And that’s only the ones who reported being bullied! Can you imagine how many other kids out there starting school in Madison right now that will experience bullying and never speak up? As a parent I confess I missed the boat on this one, big time. When I finally got around to talking to my daughter about bullying in school, I discovered that she had already been bullied, and it was her friends who were perpetrating it! I was stunned. How could I help my 8 year old stand up for herself, when her friends were messing with her? As a former student of Taekwondo in my childhood, I immediately knew kids martial arts could help. But I wanted her to learn something more practical than 101 different kinds of kicks. Most fights end up on the ground and most martial arts don’t have much to say about what to do when you get there. Since it’s ground fighting, I thought we’d give Brazilian Jiu Jitsu a try. Fast forward 1 year, she’s a gray belt, getting ready for her next belt test. Her jiu jitsu is really coming together and she’s thinking about competing. My daughter’s confidence is on a completely different level today, and I have jiu jitsu to thank for that. The best part is, your child will never have to hurt (or worry about hurting) another schoolmate because our kids self defense workshop does not focus on punches and kicks. 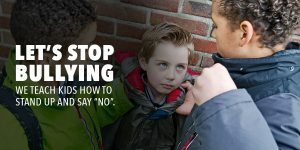 Instead, kids are taught age-appropriate techniques to pin, control and negotiate with a bully without the use of striking. Children will begin by keeping their eyes focus on the eyes of people speaking to them. They will begin paying more attention to their teachers and for longer periods of time, therefore hearing and learning more. Focus is like a muscle, the more you use it, the better and stronger it gets. 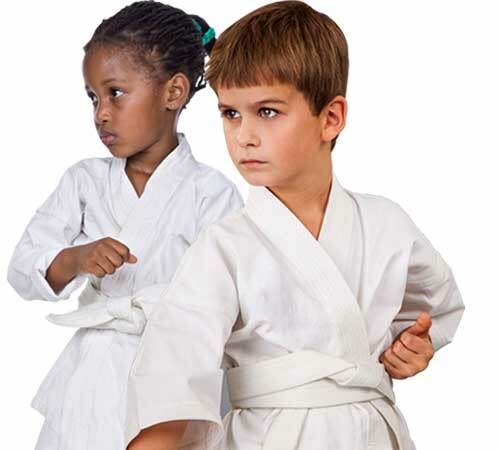 With martial arts training at Fight Prime, we train children’s muscles and mind. Strength, Conditioning, Flexibility and Weight Loss are all benefits that parents can expect to receive with martial arts training at Fight Prime. Every muscle group is strengthened and defined with the exercises, movements, technique, and training drills that are incorporated into our curriculum. A child’s endurance and stamina will peak as we increase their cardiovascular conditioning. All these physical benefits for their body will be felt in their daily life and activities, increasing their energy and confidence. We are limited in the number of kids we can register for this free kids self defense workshop so don’t wait. We only have 14 8 Spots remaining! Click here to register for FREE. On July 24, 2017, in Milwaukee a woman sat in her car, smiling at her birthday messages on Facebook. She had just parked her car and was ready to do some birthday shopping. As she opened the door to exit her vehicle, she was brutally beaten by a man wearing brass knuckles. He left her there, bloodied, eyes swollen, and busted lips. Worst of all, she had fractures and chipped teeth. In an interview with WTMJ-TV Milwaukee, the victim says she tried to defend herself but could not hit him. As he assaulted her, the woman was able to reach for her pepper spray and spray him, causing him to run off. But by then, the damage was done. The motive? Her purse. She was resourceful enough to reach for her pepper spray, but how many of us women carry it with us like we ought to? And even if we did, would we be fast enough and clear-minded enough to think about reaching for the pepper spray under duress? Krav Maga is one of the few self defense systems that address these real-life situations. What is Krav Maga? It’s a reality-based self defense system. A system focused 100% on surviving and escaping worst case scenarios. Developed for the Israeli Defense Force and Israeli Security Forces, it combines techniques from boxing, wrestling, aikido, and judo. Krav Maga was designed to be used by anyone. It is brutal and intense, even savage. When it’s your life on the line, you have to react with 100% intensity and aggression. Having served in the military, I thought I was in good shape with my knowledge of blocks and punches. Boy was I wrong. This passed weekend, just a few days after the attack on the Milwaukee woman, I dropped in for a Krav Maga seminar hosted at Fight Prime Training Center, here in Madison, Wisconsin. The seminar was led by Jason Denzer, a level 4 Krav Maga instructor. He is certified through Krav Maga Alliance, with 10 plus years of the tactical training. The room was filled with a mix of Fight Prime members and people with no prior experience in Krav Maga. I found my spot on the mats as Jason walked in and began the seminar. With a loud voice, harsh and brutal language he instructed. First impressions are everything, right? Well my first impression of Jason was, “This guys is crazy!” He demonstrated palm hits and hammer punches, then groin kicks, all with intensity and speed. He told us Krav is about speed, attacking and getting the “F” out of there. As the night unfolded and we were taught to deal with being in a crowded settings like concerts and movie theaters, it dawned on how often we walk, unprepared, through life. And now seems like senseless violence happens more often than ever before. So I made it a point to really visualize that my partner really was thug demanding my purse or the drunk trying to assault me. That’s when my inner savage came roaring out. What a rush! I felt empowered; like a new, stronger side of me emerged. One night of Krav Maga training showed me how to avoid threatening situations and the importance of body language. And finally, I learned how to unleash my “inner savage” to shock my attacker, making me seem less the victim and more like a survivor. Jason will be teaching simple techniques to neutralize threats and escape safely, including principles like: Pre-threat recognition (body language, etc. ), First Strike, Attached Striking, and much more.. Cost: Fight Prime is subsidizing some of the cost so it’s $79.95 only $29.99 per person (must be over 18). How do I sign up / get tickets? Click here to go to our Eventbrite page for the seminar. That’s it! You’ll get a confirmation e-mail. If you have any additional question please reply to this e-mail and we’ll get them answered. Fight Prime members who don’t currently attend our regular Krav Maga classes. Who is workshop this NOT for? Anyone over 6’3, with an athletic build who intimidates everyone when they walk in the room. Do I have to be a Fight Prime Member? What is Krav Maga, anyway? Originally created for the Israeli Military, Krav Maga is not a martial art. There’s nothing artistic about it. It’s a collection of techniques from Kickboxing, Judo, Jiu Jitsu, and other martial arts, but combines them into an real-world applicable and brutal self-defense system. Unlike many other martial arts, Krav focuses on evaluating threats, reacting with high-intensity, and escaping the situation safely. Only a few seats left, don’t wait till registration is closed. Registration is closing just a couple of days, don’t miss out! Click here to register now. Check back here regularly for Fight Prime’s upcoming events, news and more!